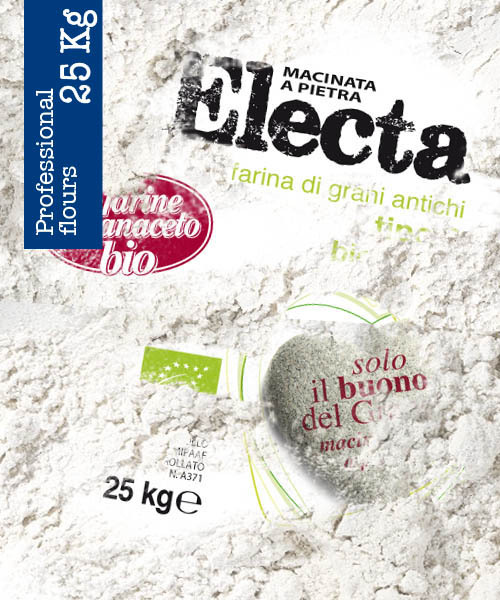 We travelled a long way before assembling the Electa line So here are all the details about it, with a wide range that fulfils the requirements of professional bakers and customers who care about sustainability and healthy eating. Ideal for recipes based on tradition, but also excellent partners for making the most of creativity. This rich and comprehensive Organic line consists of wheat flours with increasing strengths and protein values and wheat flour with varying granulometry. Our Organic Ganaceto Flours, ranging in strength from 70 to 350 w, were created from the best 100% Italian wheat from our members, or alternatively, my mixing with foreign wheat with indispensable properties, purchased directly from the counties of origin. 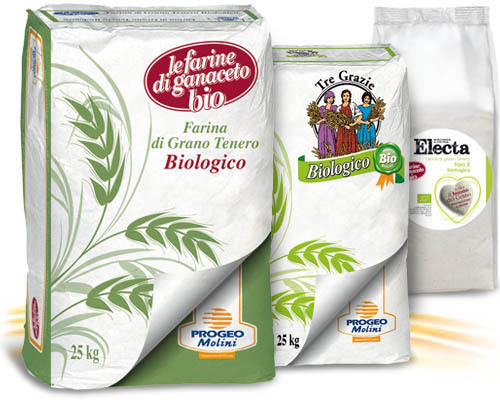 Progeo Molini’s great vocation for Organic products, perfectly balancing ancient traditions and advanced technologies, makes the Ganaceto Organic Flour line the bed-rock of our commercial offering. Click on a Progeo trademark above to show the existing lines and flours.